Sightseeing in Europe can get expensive very quickly. We try and figure-out where we want to go before leaving for our trip and research potential ways to save money. 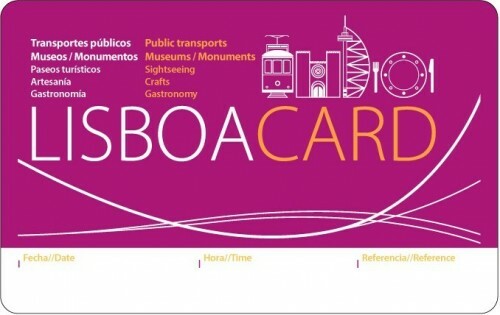 Before our most recent trip, we discovered the Lisboa Card, offered by the local tourism office, which includes free admission to many sights, discounts to others, and free access to Lisbon’s fairly extensive transportation network (trains, subways, buses, trolleys). For 3 days, we received €56.35 in value from our Lisboa Card, for a savings of €17.35 per person. Of the savings from the Lisboa Card, €26.05 was from transit. One alternative to the Lisboa Card is to purchase a Viva Viagem card, which after bought for €0.50, can provide unlimited access to the same transit options as the Lisboa Card for €5 per day (without the sightseeing deals). If we would have bought the Viva Viagem card and paid for all the attractions at full price, we would have paid €45.79 per person. The Lisboa Card is still slightly a better deal, saving us €6.79 per person. Of course, with this tight of margin, we would have lost money with the Lisboa Card purchase if we would have skipped one or two of the sights listed above. We bought the card at the Lisbon Airport, which was very convenient. They are sold at the “ask me L¿sboa” booth at the arrivals hall. They take credit card, and the line was very short. Note that you are required to write the time of your first visit on the card, so attractions can actually enforce the expiration of the card to the exact hour (72 hours doesn’t get you a whole third day). The transit system validates the card electronically, so I’m guessing the clock starts after your first swipe. I was originally wondering if we could get by with a 48 hour card and still get the attraction deals on our third day, but that is not possible. Before leaving for Lisbon, make a quick catalog of the sights you plan on seeing. If you plan on being at least as aggressive as we were during our 3 day trip, the Lisboa Card may be a good value. Otherwise, consider a Viva Viagem card and paying full price for attractions. The all day transit card pays for itself very quickly, so even the most relaxed itineraries would probably benefit from planning ahead to save on transit. This entry was posted in Travel and tagged budget, Lisbon, Portugal/Spain 2012 Trip, strategy, transportation, travel planning by Ryan. Bookmark the permalink. Thank-you so much for doing the homework on the Lisboa Card benefits! Yes, we will be purchasing the card.